1. It is Truly Meet (entrance preying, demestvenny chant, early Russian polyphon.) Soloist Yury Vishnjakov (Basso Profondo). It is truly meet to bless thee, the Theotokos, ever-blessed and most blameless, and Mother of our God. More honourable than the Cherubim, and beyond compare more glorious than the Seraphim, who without corruption, gavest birth to God the Word, the very Theotokos, thee do we magnify. This hymn to the Mother of God is sung during various offices (matins, Eucharist...). Here it is used for the rite welcoming the bishop to the church before the Eucharistic liturgy. While the choir sings the Marian hymn, the deacon pronounces the introductory prayers. The polyphonic arrangement of this old melody is characteristic of the "Pertessian" style from the beginning of the 18th century. During the celebrations of the Cross (Veneration of the Holy Cross the fifth Sunday of Lent and the Exaltation of the Cross on 14 September), this hymn replaces the Trisagion during the Eucharist and accompanies the faithful as they bow before the Cross. It's the only surviving composition by P. Gontcharov and dates from the second half of the 19th century. A.F. Lvov (1798-1870) was director of the Imperial Chapel from 1837 to 1870 and a renowned violinist and fervent admirer of German music. 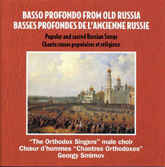 He imposed this style on Russian liturgical music through the power of censorship he held over religious music publication. He selected this excerpt from the Wednesday matins from the fourth week of Lent because it resembled the Stabat Mater of the Roman church. In addition, he reorchestrated Pergolesi's Stabat Mater and arranged it for choir. 4. We hymn Thee (Znamenny neumatic chant). An excerpt from the Eucharistic Canon, this chant is sung at the culminating moment of the Eucharist during the Transubstantiation. It's a "Znamenny" neumatic chant from the 15th century. The verses of Psalm 1 are sung at each Saturday vespers. 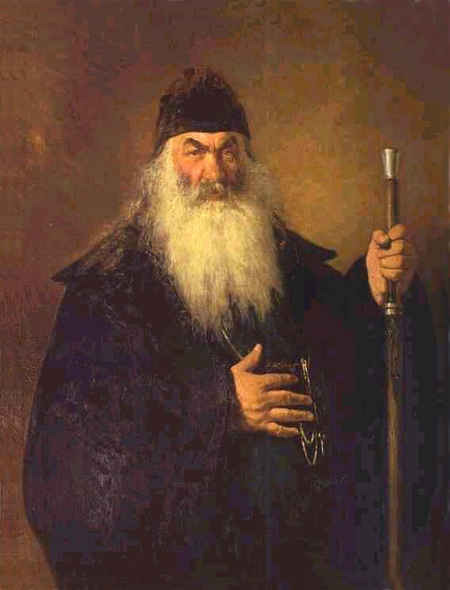 P. Tchesnokov (1877-1944), one of the most exemplary composers from the School of Moscow, adapted this traditional melody called "from Kiev," taking pains to conserve the antiphonal style of the Psalm as required by the Ordo, the liturgical canon. 6. Do not reject me in my old age. Music by Pavel Chesnokov, op.40, �5. Arr. by G.Smirnov. P. Tchesnokov was also one of the most accomplished specialists in choral direction in Russia. His work on combining differing vocal timbres and on intonation still carries weight. This piece is a "concert" for choir and soloist. 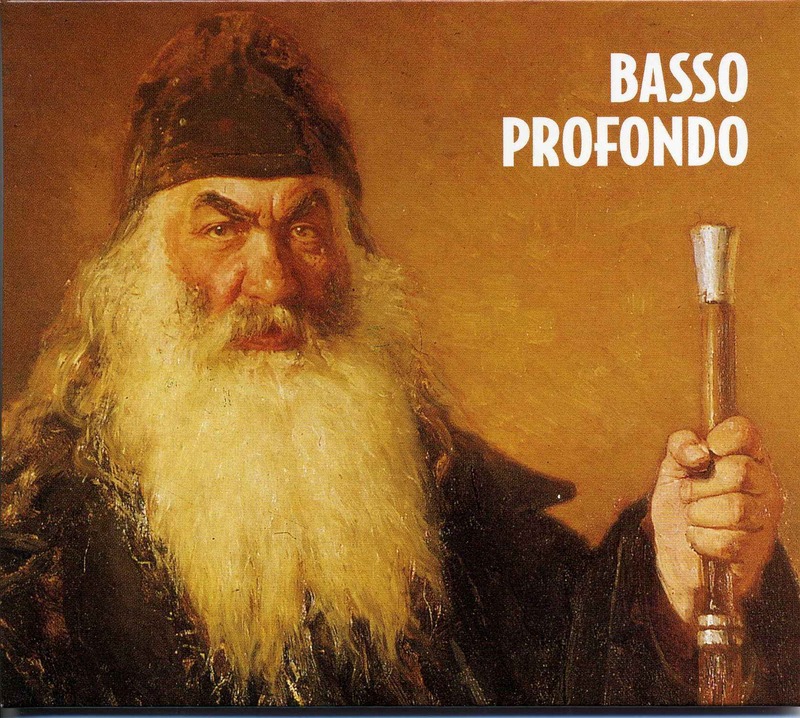 Even though composed on verses from Psalm 70, it isn't part of the liturgical repertory; however, it highlights the particular timbre of the "octavist" bass. This litany was interpreted in its time by Feodor Shaliapin and	is taken from the Liturgia domestica op.79 by Alexander Gretchaninov (1864-1956). It was originally written for voice with piano accompaniment and later was orchestrated and arranged for choir by the composer. This version is an adaptation for male a cappella choir. Its pompous and melodramatic character is closer in style to opera than it is to liturgical declamation. The Orthodox Church customarily cites each year the anathemas against heresy on the first Sunday of Lent called the "Sunday of the Orthodox Triumph" in memory of the Church's victory over iconoclastic heresy. The deacon enumerates the heresies condemned by the Church while the choir proclaims the anathema. During the centuries, the lists of heretics has had a tendency to grow as governments began including their political enemies. This chant concludes the mortuary offices (burials or offices of remembrance) and is also sung during the "Triumph of Orthodoxy" office. The deacon recites the names of the deceased after which the choir sings an original melody from Kiev, Eternal memory. Each office in the Orthodox rite concludes by wishing long life to the local deacon. 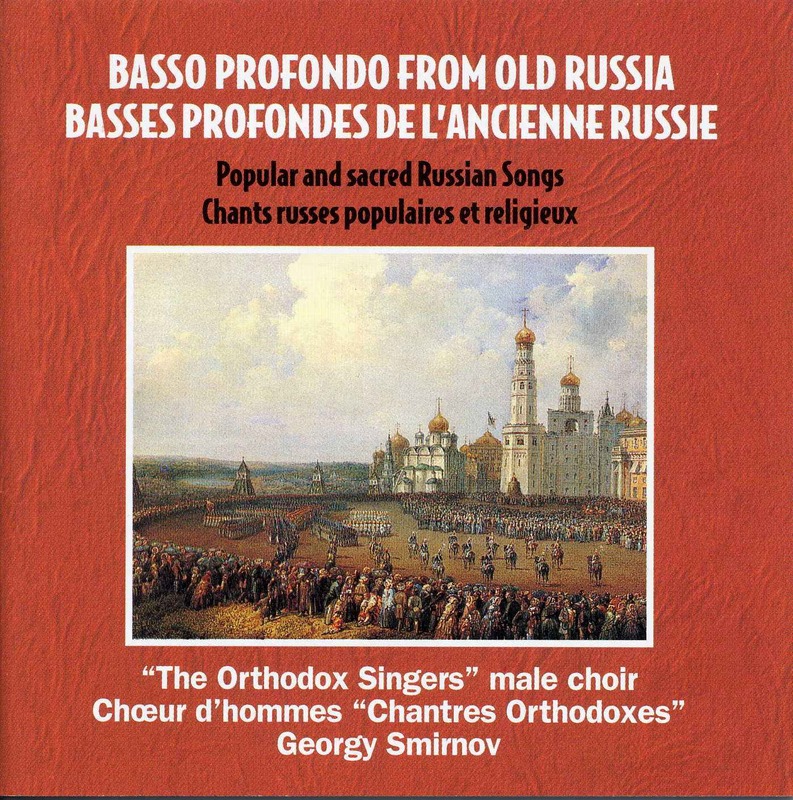 This chant by an anonymous composer from the period of Peter the Great is based on the same principle as the previous one: the deacon recites the names and tides of those dedicated followed by the choir wishing Many years. P. I. Tchaikovsky (1840-1893) was inspired by a Russian Church melody in the sixth mode in writing his No. 23, At Church, from his Children's Album op. 86. Much later, at the beginning of the 20th century, he adapted it for choir using a poetic text based on Russia's misfortunes in history. Alexander Pushkin made a brilliant poetic adaptation of the Syrian Saint Ephraem's prayer "Lord, master of my life." It is a prayer of compunction and at the same time an ascetic exercise repeated numerous times during Lent. A. Gretchaninov was one of the many Russian composers to put these verses to music. This composition by Dmitri Bortniansky (1751-1825), Lvov's predecessor as head of the Imperial Chapel, is a hymn to the Creator initially used in Masonic lodges which proliferated in Russia under the reign of Alexander I. This work quickly left esoteric circles and became, after God, save the Tsar, the second Russian Imperial hymn. The legend of twelve robbers and their leader Koudeyar who left his companions to enter a monastery to atone for his sins was written in verse by the poet N. Nekrassov. 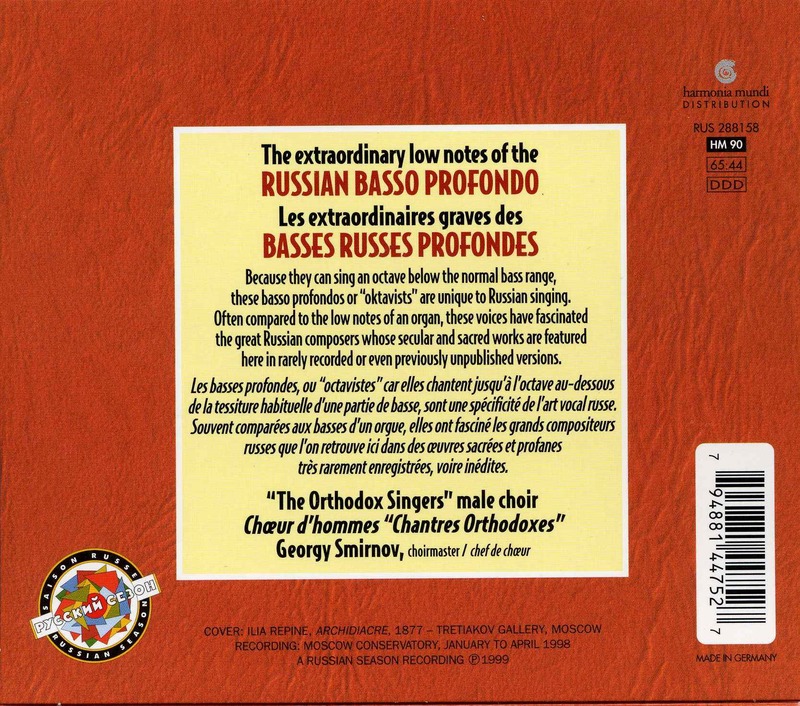 The music is by an anonymous composer whose westernized style is indicated by the use of three part rhythms never encountered in true Russian folklore. A Pushkin was inspired by the almost legendary life of Prince Oleg of Kiev who died bitten by a viper hidden in the head of his just killed favorite horse. His death had been predicted by a seer. This poem was put to music at the end of the 19th century and used as a military march as demonstrated by the refrain proclaiming glory to the tsar.